6%DOKIDOKI shop staffer wearing a colorful fun street style with a pink coat, vinyl pants, platform shoes, and hair bow. 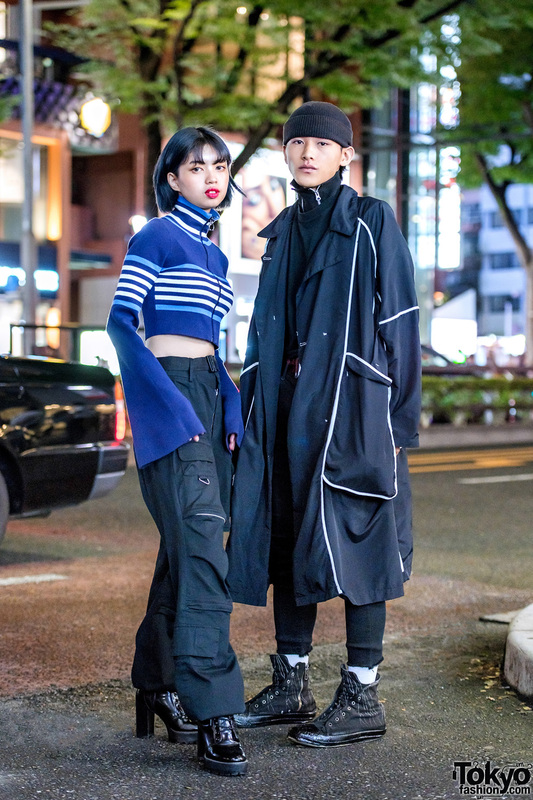 Harajuku girl with a bob hairstyle wearing a yellow sweatshirt, distressed skirt, and sneakers. 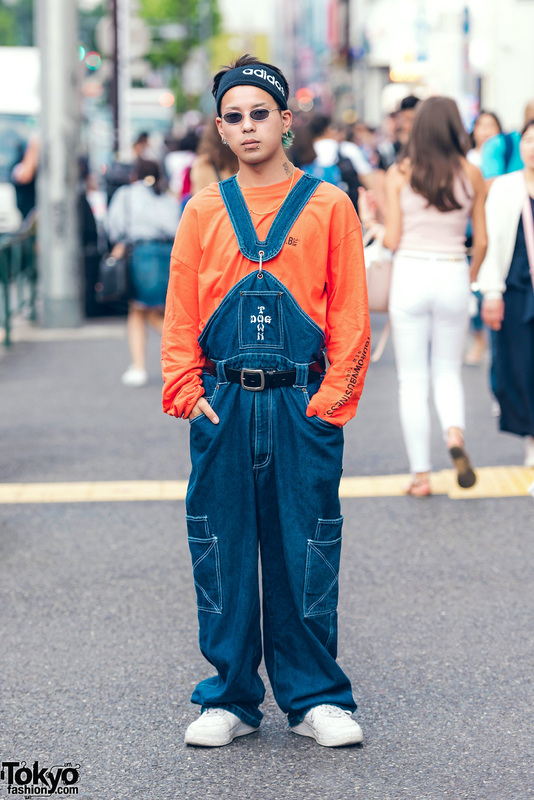 Kinji Harajuku shop staff in retro skate style with orange sweatshirt, denim overalls, white sneakers and a sweatband. 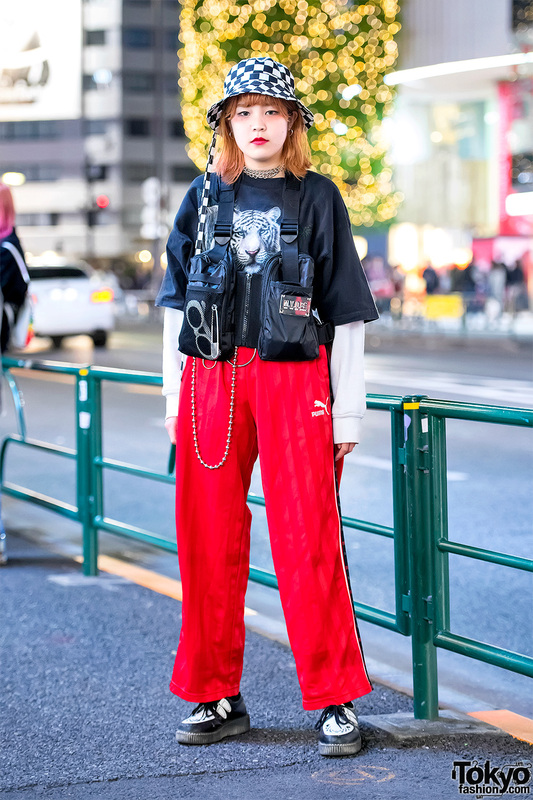 Japanese student on the street in Harajuku wearing a checkerboard bucket hat with MYOB vest bag, striped Puma pants, and creepers.